Habitat for Humanity of Greater Centre County | Non-profit - Builders Association of Central PA, PA ? Habitat for Humanity of Greater Centre County (HFHGCC) partners with working families and volunteers to build affordable, quality homes and to provide services that promote successful homeownership. 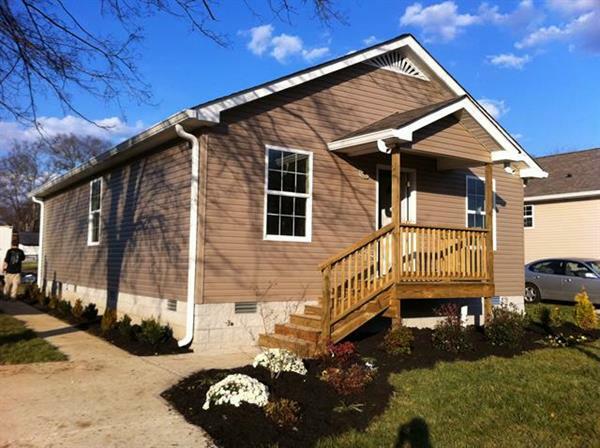 To date, HFHGCC has built, renovated or repaired homes for over 60 families. HFHGCC maintains affordability for our partner families by selling houses with no-interest mortgages, securing financial support from individuals, businesses, and faith groups, and building houses with homeowners and volunteers. HFHGCC also operates the ReStore, an outlet for donated home repair and maintenance items, including appliances, cabinets, doors, windows, plumbing fixtures, furniture, home decor items, and much more. Items are accepted from retailers, contractors and individuals and re-sold to the public at a 50-70% off of market value. Net proceeds from the ReStore are used to support HFHGCC's programming.